Narborough lies in West Norfolk approximately five miles north-west of Swaffham. The novelist W.E. Johns was stationed at Narborough Airfield during the First World War. The airfield was the largest in Norfolk and covered 900 acres and Johns worked as a pilot instructor. 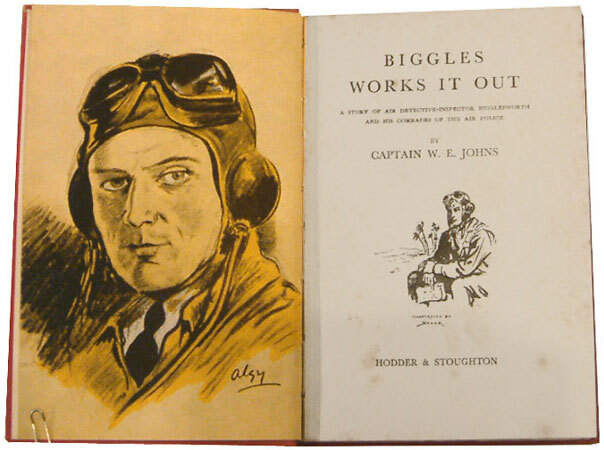 Johns used his experiences of active service during WW1 to invent 'Biggles' - alias James Bigglesworth - the daring, clean-cut hero. In the books, Biggles spent his early years with his uncle in Norfolk and also learnt to fly at No 17 Flying Training School in the fictional 'Settling' in Norfolk. Johns first moved to Norfolk in 1912 to take up a job as a sanitary inspector in Swaffham. Soon after he met and married Maude Hunn the daughter of a vicar from Little Dunham. However, when the war broke out he joined the Norfolk Yeomanry and saw active service in Gallipoli. He then volunteered for pilot training and joined the No 25 Training Squadron at Thetford. The Biggles novels proved extremely successful and Johns became the second most popular children's author after Enid Blyton. 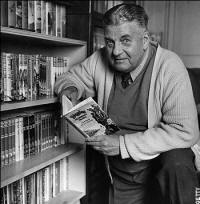 In total, there are 96 novels. In Narborough churchyard there are a number of graves of airmen who died in training at the airfield. There is also plaque commemorating their lives. David Turner, the chairman of the village history society, has published a history of the airfield entitled: The Great Government Aerodrome. There is also a moving poem by John Press which records an autumn evening visit to Narborough Church. The 'seventeenth-century gentleman' in the poem - who 'leans nonchalantly on his side' is a reference to the monument to Sir Clement Spelman (d.1607) which lies on the north wall of the chancel. The monument depicts Sir Clement and his wife - both reclining one above the other - wearing ornate ruffs. As the chill autumn evening falls. The face that art has petrified. Of nineteen-ten slants on a nail. Found graver parts at Passchendale. Grow dull and pitiable, survives. To bandy such a word about. And time stamps the last embers out. And I a mourning revenant. And the weak tints of sepia fade. Cocooned by sleep from wind and rain.